Proud member of CA District 47 Little League !!! Biggs, Chico, Durham, Gridley, Hamilton City, Orland, Oroville, Palermo, Paradise and Willows. 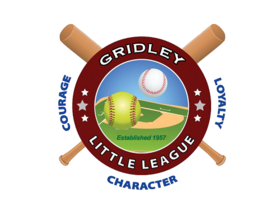 Little League Baseball, Incorporated is a non-profit organization whose mission is to "promote, develop, supervise, and voluntarily assist in all lawful ways, the interest of those who will participate in Little League Baseball and Softball." use later in life to become good citizens.